1. 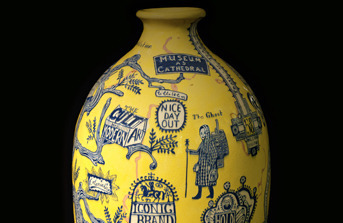 At the British Museum Grayson Perry: the Tomb of the Unknown Craftsman is extended to 26 February 2012. Perry has curated a unique show of his own work and selected material from the British Museum, as this short video explains. If you want to see more, Tim Marlow has done one of his 30 minute programmes discussing the aims of the exhibition with Perry. The programme is showing from 11 February on Sky Arts 1. 2. 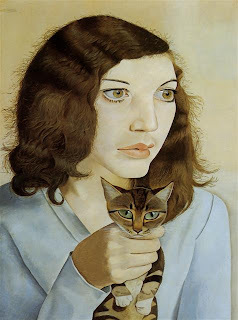 Lucian Freud Portraits is on at the National Portrait Gallery 9 Feb – 27 May 2012. See a short video here on YouTube. As it says on the NPG website: "Lucian Freud was one of the most important and influential artists of his generation ... and this major exhibition, spanning over seventy years, is the first to focus on his portraiture." See my previous post re Lucian Freud and my follow-up post. Tim Marlow has also reviewed this show on Sky Arts. Further related Hockney videos can be viewed here. Also Sky Arts is showing a Tim Marlow programme about the exhibit and on 27/2/12 Andrew Marr is doing an hour long programme. 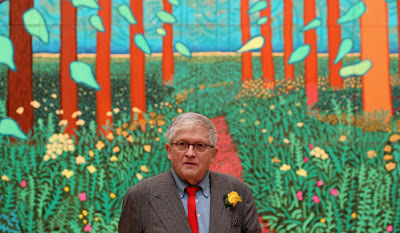 According to the website this exhibition "spans a 50 year period to demonstrate Hockney’s long exploration and fascination with the depiction of landscape." 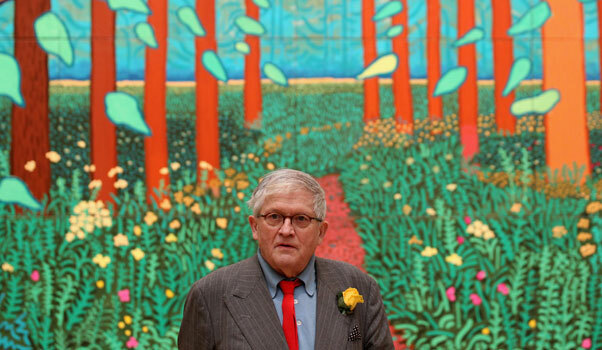 However, Hockney is adamant that it is not a retrospective but focuses mainly on work produced during the past 3-4 years (confirmed by visiting the exhibition - only one gallery was devoted to Hockney's previous landscape work). 4. At Tate Britain there is a Picasso exhibition. 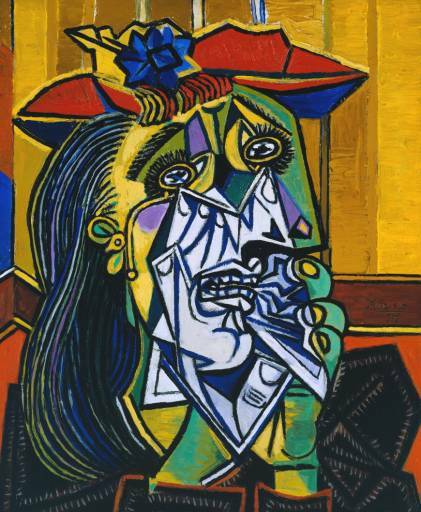 Picasso and Modern British Art focuses on how Picasso was influenced by the English and how, in turn, English painters - from Ben Nicholson to David Hockney - were influenced by him. 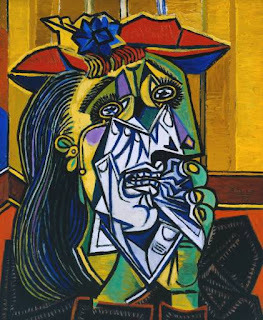 “The exhibition will show how Picasso evolved from an artist championed by a courageous minority in Britain, to become the figurehead of modern art both here and around the world.” according to the curator. It looks as though it will be a fascinating exploration, and it runs from 15 February to 15 July 2012. Tim Marlow is doing a 30 min programme on the exhibition that will be showing in March on Sky Arts. 5. Finally, if you are in Cornwall you should take the opportunity to see the exhibition of Breon O'Casey's work at the Newlyn Gallery 14th January - 28th April 2012. 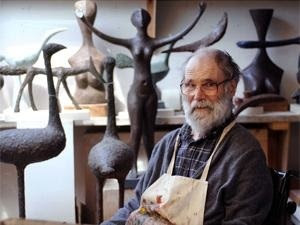 This is a major show of paintings, prints, sculptures, weavings and jewellery by Breon selected by his daughter, Duibhne Gough, and covers his output from the 1950s to 2011. It includes notebooks, photographs and other artefacts. Prints & works on paper will be available for sale in the Picture Room. 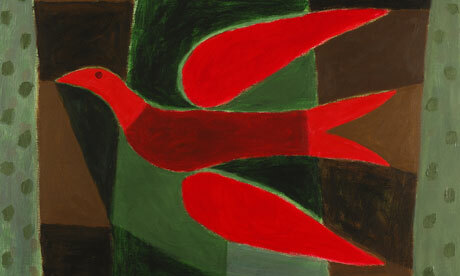 See my previous post about O'Casey and Barbara Hepworth.